Item # 313963 Stash Points: 23,995 (?) This is the number of points you get in The Zumiez Stash for purchasing this item. Stash points are redeemable for exclusive rewards only available to Zumiez Stash members. To redeem your points check out the rewards catalog on thestash.zumiez.com. 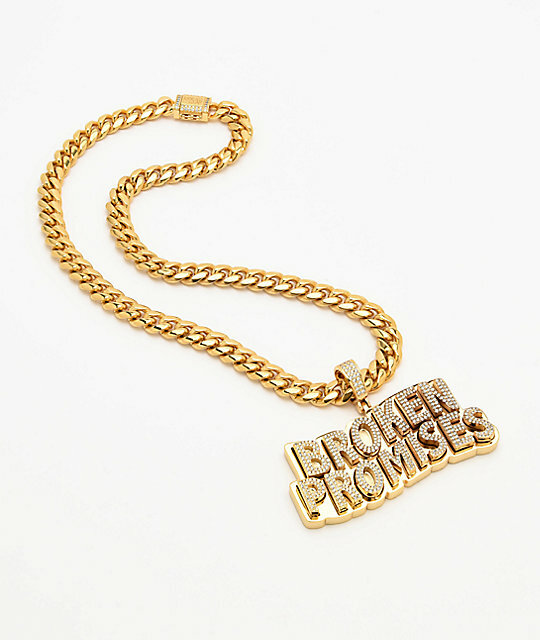 Get your drip on rocking the flashy Saint Midas x Broken Promises Iced Wave Gold Cuban Chain. 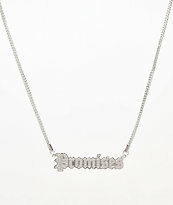 This heavy set Cuban linked chain includes a large Broken Promise script pendant that's been elegantly dressed up in clear hand set cubic zirconia stones for a striking look. 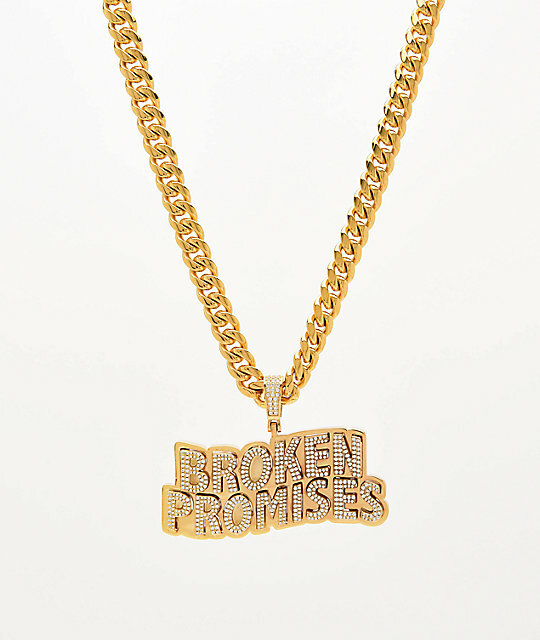 Iced Wave Gold Cuban Chain from Saint Midas x Broken Promises. Signature Saint Midas and Broken Promises collection. Clear hand set cubic zirconia stones throughout pendant and clasp closure. PVD plated in yellow gold finish. 20" (50cm) chain with latch closure. 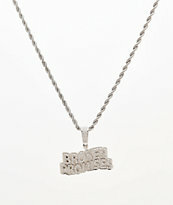 3" (8cm) x 2" (5cm) Broken Promises script pendant.